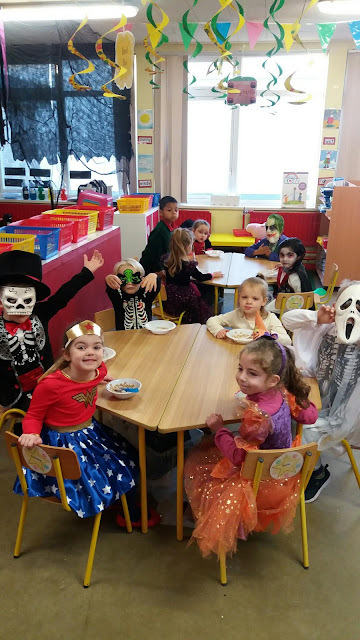 Room 3: A scary breakfast with our friends!! A scary breakfast with our friends!! 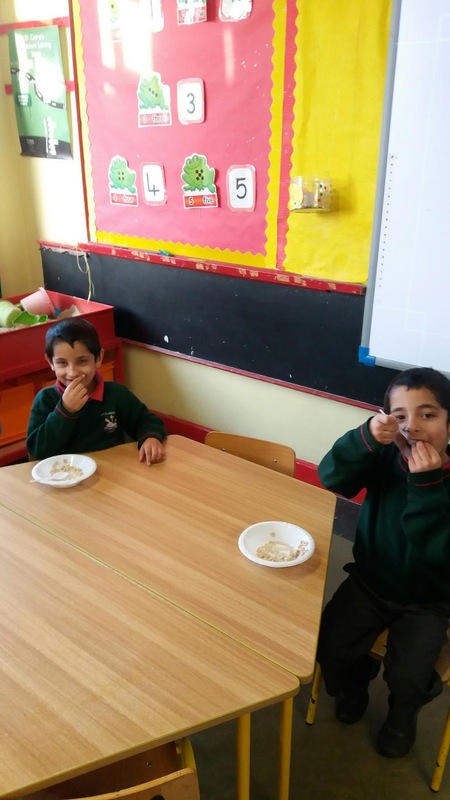 Who will find the fainne in our Bairin Breac??? Using magnets to hunt for metal! Sorting bats we found in the sand! A great picture with playdough! 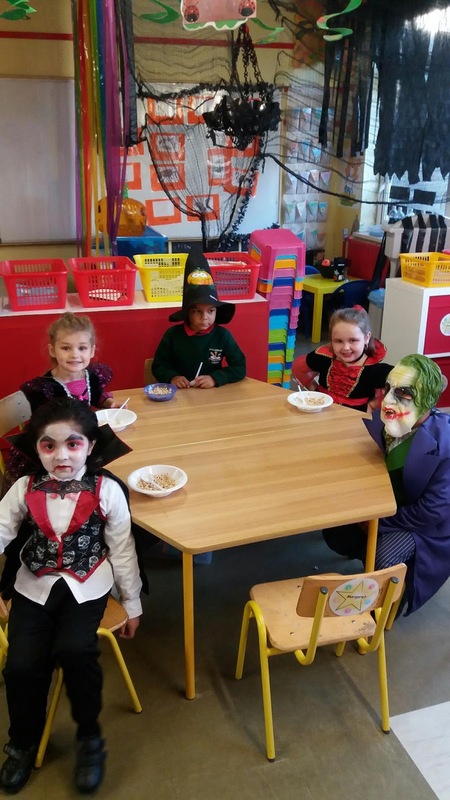 We have just started 'Halloween' in Aistear! We came back to class to colour autumn trees! Going exploring to find autumn! 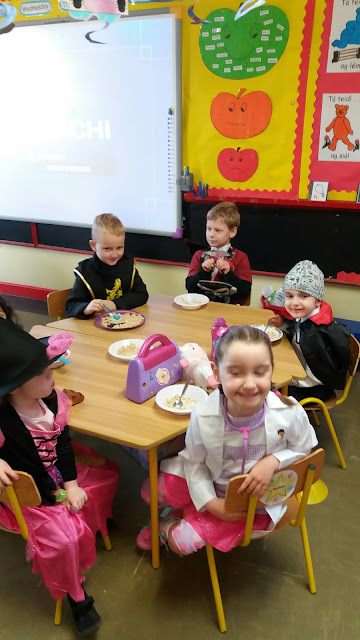 Magic autumn apples from teacher's mammy!